Did you know Netflix’s Net Promoter Score (NPS) is higher than the cable company’s? It is, and it is one of the reasons we see growth in Netflix and continued dissatisfaction with cable companies. I love Netflix. It is simple. You can start and stop it when you want. My recent experiences with my cable company have been the complete opposite. This poor Customer Experience is one reason I now use Netflix more than my cable company. 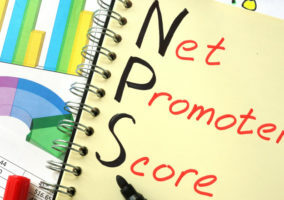 For those of you that don’t know, Net Promoter Score (NPS) represents the likelihood a Customer would recommend your product or service to other people (i.e., the higher the score, the greater the likelihood they will recommend). Well, there is a simple way of finding out the answer to that question: Speak to the man that knows! Brendon Rocks is that man. He is the Head of Data Science (self-described as Chief Statistics Wonk) for Satmetrix, a company devoted to combining their software, data, and Customer Experience (CX) expertise to help organizations achieve Customer-Centricity. In their 15th annual Net Promoter Benchmark Study, he gave a great presentation of some really interesting stats on NPS. Simple experiences are king when it comes to NPS. Boost Mobile: They have the highest NPS in the mobile service study, performing 33 points higher than Sprint, who own Boost and provide their infrastructure. Tesco Mobile: The UK-based mobile firm has a larger base of loyal customers than O2, the telecommunications provider that Tesco rebrands for their customers. First Direct, a phone and online retail bank in the UK, scored the highest in the UK study, 61 points higher than the HSBC, the bank that owns them. Simple is important to your Customers. Really Important. What we can learn from this data is that Customers don’t want much hassle these days. They want it easy; they want it accessible; they want it smooth. There are many reasons for this, but perhaps the biggest is the concept of cognitive depletion. Cognitive depletion refers to the amount of energy you have left to think about something, which, as the name implies, isn’t much. There is intuitive thinking, that doesn’t require a large amount of energy to do and rational thinking, which does require a lot of energy to do. Complicated Customer Experiences do not appeal to the intuitive part of one’s thinking, and instead, require the less energy-efficient thinking of one’s rational mind. If a person is cognitively depleted (Read: tired), then they are far more likely not to participate and look for an easier path of resistance (read: your competition’s experience). Who doesn’t feel cognitively depleted from time to time? And who hasn’t abandoned a purchase (online, via mail, in a store) because the next steps were just “too much?” We all feel like this from time to time, and when we do, we appreciate easy. It’s why more and more people resort to ordering groceries online for delivery. It’s the reason people like setting up an Apple computer for the first time over a PC, and it’s why we prefer to bank online instead of going to a branch. We are a society of people who just want it simple. And the proof is in the NPS data.